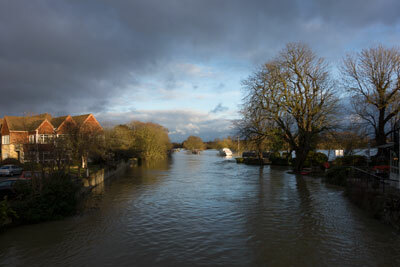 The view from Abingdon Bridge. 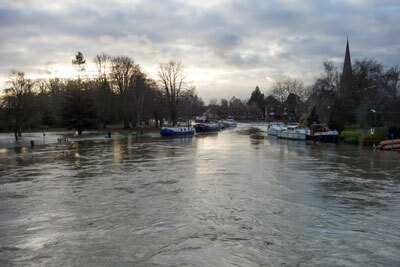 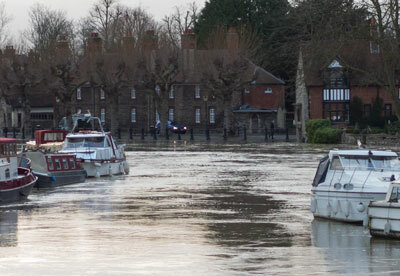 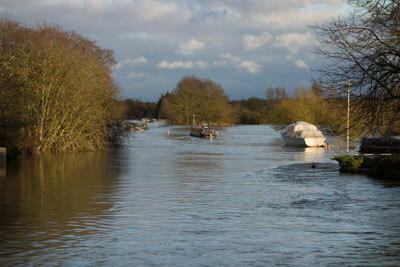 Marooned boats in Abingdon Meadow as seen from Abingdon Bridge. 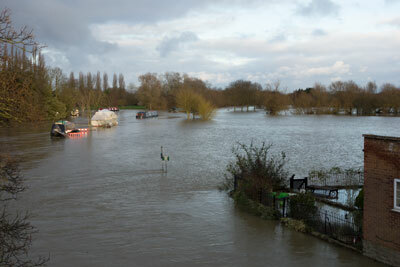 The view to the south towards St Helens. 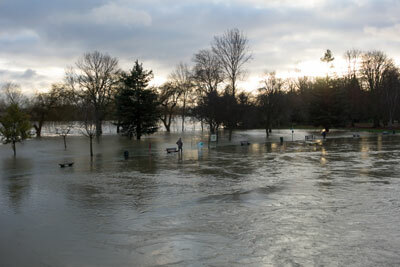 showing the water level to be just about at pavement level, just as in 2007.